This post is the fifth entry in a blog series detailing the itineraries of both current and former Heads of State who participated in a Department of State International Visitor Leadership Program (IVLP) project arranged by Meridian International Center. The entry below summarizes the IVLP itinerary of Finnish President Sauli Niinistö. As Mr. Sauli Niinistö currently seeks a second term as the President of Finland, we are taking a look at his IVLP itinerary, which Meridian designed and implemented in 1992. This blog entry will provide insights into his program and his professional background at the time of his participation in the exchange. When Mr. Niinistö was selected for the IVLP, he had been serving as a Member of Parliament representing the National Coalition Party; subsequently, he sat on the parliament’s Law Committee, Finance Committee, Traffic Sub-Committee, and the Defense and Safety Sub-Committee. He had also be serving as both a member of the Nordic Council and the Chairman of the Salo City Council. In April, 1992 Mr. Niinistö began his nearly month-long program with hopes to “gain a more thorough understanding of aspects concerning domestic political and legal policies” through a study of U.S. government agencies at both federal and local levels. His individual program included meetings that would expose him to defense experts, officials involved in the presidential primaries, and policymakers. The itinerary began in Washington, DC where Mr. Niinistö was welcomed by officials from the United States Information Agency (now the Office of the Under Secretary of State for Public Diplomacy and Public Affairs) and the programming team from Meridian. Meetings in Washington were scheduled with officials from the Department of State and the Department of Justice, a representative from the Library of Congress, and a supervisor from the Federal Deposit Insurance Corporation. He also worked with Department of Defense agents including the Director for European and NATO Policy and the Deputy Director of the Defense Security Assistance Agency, and, prior to his departure to Minneapolis, he was able to engage with a Congressional Fellow from the U.S. House of Representatives Committee on Foreign Affairs. During his first night in Minnesota, Mr. Niinistö enjoyed an evening of home hospitality with a City Council Member for St. Anthony Village. His ensuing program included engagements with the League of Minnesota Cities to learn about the mayor-council form of government; the Deputy Attorney General of Minnesota to discuss reproductive rights legislation; and the State of Minnesota’s Department of Finance to explore taxation and financing at the state level. Before traveling on to Phoenix, he was able to take part in a St. Anthony Village city council meeting. Phoenix’s program allotted to Mr. Niinistö the opportunities to learn about small town government and financing from a local town administrator, the “city manager” form of government from the City Manager of Scottsdale, and reproductive rights activism from the local chapter of Planned Parenthood. He was also able to enjoy another evening of home hospitality and spend a day visiting the Grand Canyon before flying to Jackson. Mr. Niinistö’s itinerary in Mississippi provided an in-depth examination of the U.S. court system at both the federal/state levels and taught him about local law enforcement methods and procedures. To reach these objectives he met with an attorney at a local law firm; local, state, and federal judges; and the Deputy Policy Chief of the Jackson Police Department. He was also able to enjoy a tour of historic Vicksburg prior to his departure for St. Louis, where he spent day of programming with representatives from the McDonnell Douglas Corporation. Mr. Niinistö’s subsequent program in Dallas/Fort Worth was brief as well, as he spent the majority of the time meeting with representatives from the General Dynamics Corporation and touring their facilities. He spent a day there before traveling on to Pittsburgh, where he had the opportunities to view the presidential primary process in action and observe voters cast their ballots. He was also able to join another IVLP group for several meetings with both elections officials and the League of Women Voters. Additional highlights include a meeting with former Congressman William Coyne (Democrat – Pennsylvania, 14th District) and, in a separate appointment, the Vice President of the Pittsburgh Courier, a historically black-owned newspaper. Mr. Niinistö later flew to New York to enjoy several days of sightseeing and other cultural activities before returning to Finland. 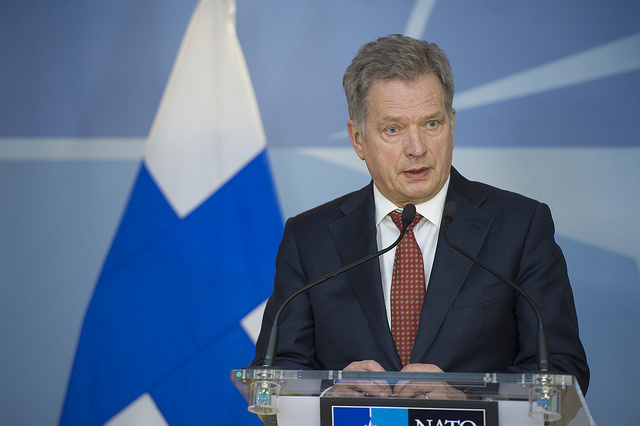 Following the conclusion of his program, Mr. Niinistö returned home to be appointed in succession: Minister of Justice (1995-1996); Deputy Prime Minister of Finland (1995-2001); Minister of Finance (1996-2003); Speaker of Parliament (2007-2011); and President of Finland (2012-Present). 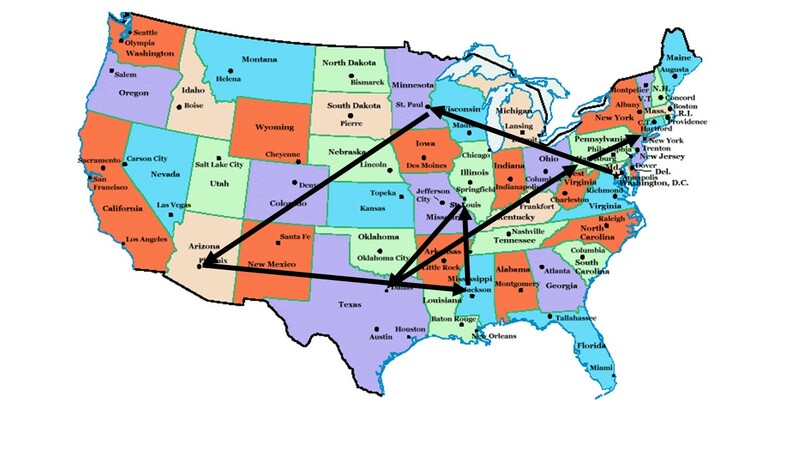 *Quotes taken directly from the official itinerary. POST TAGS: Exchange, Finland, foreign policy, Global Leaders, International Exchange, International Visitors, Meridian Alumni, Meridian Impact, Professional Exchange, Sauli Niinisto, U.S. Department of State.